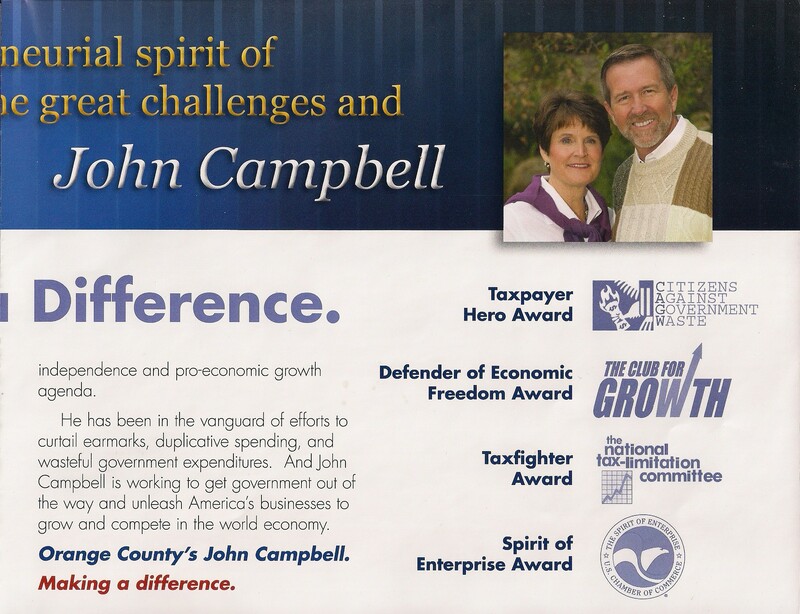 Congressman John Campbell had another mailer that arrived at my house today. He is clearly taking this race very seriously. 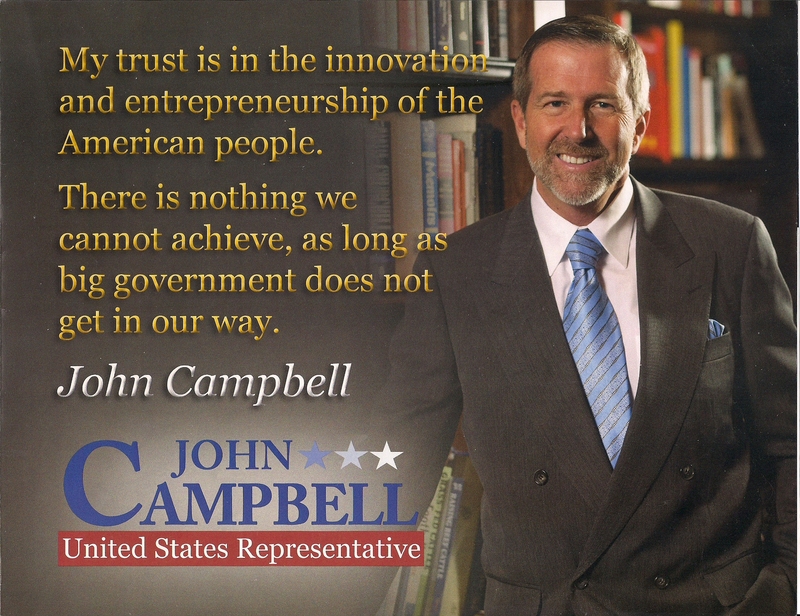 As of today I have yet to hear of a piece from either of his opponents John Webb or Sukhee Kang. However, Kang does have the most signs up in the district as of earlier this morning. 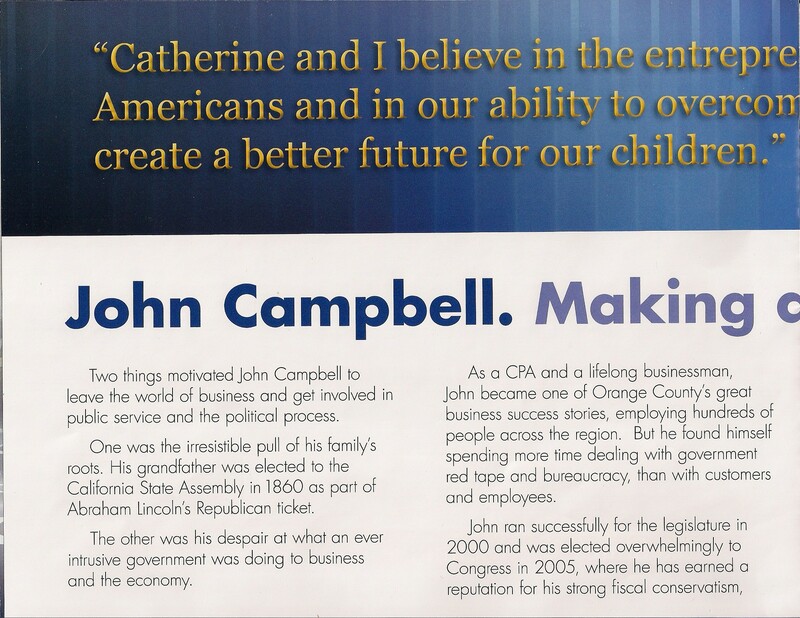 This entry was posted on May 10, 2012 at 8:53 AM	and is filed under 45th Congressional District. 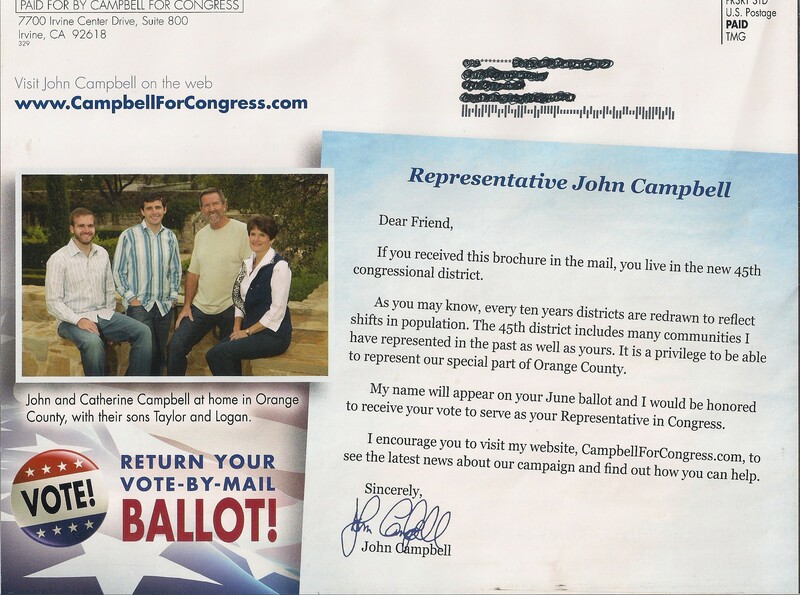 Tagged: John Campbell, John Webb, Sukhee Kang. You can follow any responses to this entry through the RSS 2.0 feed. You can leave a response, or trackback from your own site.